Interview about Eating Well for Phoenix New Time's "Chef and Tell" Series; "It's Not a One Size Fits All for Everyone"
Photo by Evie Carpenter for Phoenix New Times/Chow Bella. 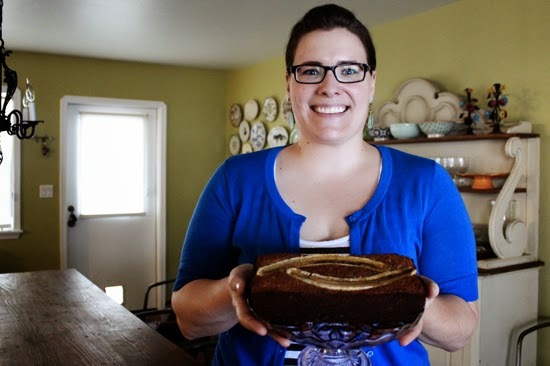 Over the summer, I was invited by the managing editor of Phoenix New Times to do some allergy-friendly baking. With grocery bags in tow, I was excited to share several new recipes I'd recently developed featuring local ingredients (like Agritopia Farm's raw honey). I was pleasantly surprised that my new friend had invited a staff writer and photographer to join us and document our afternoon in the kitchen. What followed were hours of chatting about my philosophy on food allergies and how, as a pastry chef with my own food allergies and intolerances, I am committed to making allergy-friendly recipes accessible and enjoyable for all. Please enjoy the entire interview here. I can't remember a Fourth of July when we didn't have freshly churned vanilla ice cream topped with just picked strawberries from our garden. Our version was made without eggs yolks and had a slightly icy consistency. We used an old wooden hand crank machine, the kind that you had to use lots of ice and rock salt to make. (A little food science - the rock salt lowers the melting temperature of the ice, therefore chilling the ice cream not only faster but at a lower temperature.) My mom would sit on the machine while either my brother or I would crank, and dad would add more ice and salt as needed. The entire process seemed to take hours but it was worth it! I have very sweet memories of these holidays we used as excuses to dust off the ice cream machine. Since going dairy free several years ago, I have missed ice cream. Especially handmade ice cream. Here is a great low sugar adaptation, with an infused richness from vanilla bean pods and just a little honey to make it the perfect amount of sweet. Top scoops of this delicious cold treat with fresh cut strawberries, a fruit compote, or homemade hot fudge sauce and you will be the hit of your holiday party! For this recipe, I do recommend using whole vanilla bean. The flavor derived from steeping the coconut milk from real beans is unsurpassed by any extracts you can use. 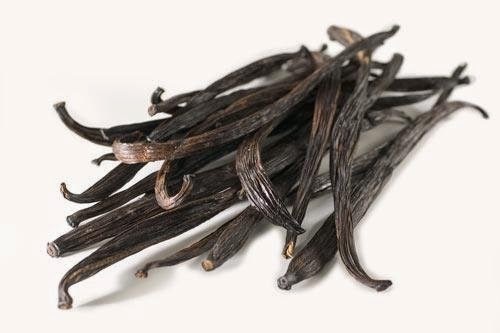 Vanilla beans are available at some grocery stores (I've found them at Whole Foods), as well as specialty stores like Sur la Table. They can be expensive, yes, but trust me - the flavor of this ice cream makes the extra cost worth it! Plus, you can use the leftover pod to make vanilla sugar, or grind them up to make a delicious flavoring for virtually any recipe calling for vanilla/extract. If you can't find vanilla bean, use 2 tablespoons of good quality vanilla extract instead. 1. Place coconut milk and almond milk in a small to medium sized saucepan and bring to a simmer over medium heat. 2. While milks are heating, split and scrape 1 vanilla bean. Here's a great step by step from The Kitchn. 3. Once milks have come to a simmer, turn off the heat and add the vanilla bean seeds and pod pieces to the sauce pan. Stir gently with a whisk to separate seeds. Cover saucepan with lid and let steep for at least 20 minutes. You can do this step a day ahead and let the vanilla steep in the milks overnight, just put the saucepan in the fridge and keep covered. The longer the bean and seeds have to infuse the milks, the better. 4. While vanilla bean is steeping in the milks, separate 4 eggs and place yolks in a smallish bowl (I put mine in a 1 cup Pyrex measuring cup) and stir gently with a whisk. Save the whites for your morning omelette. 5. Remove the vanilla pod pieces from the milks and rinse gently to remove the milk. Save these pieces and, once dry, place in a container of sugar to make vanilla sugar or grind in a spice/coffee grinder to make ground vanilla. 6. Return the saucepan containing the now vanilla-infused milks to the stove and heat to a simmer over medium heat. Once reheated, pour about a quarter cup of warm milk into the bowl of egg yolks, stirring constantly so the yolks don't scramble. Stir well to combine and then return yolk/milk mixture back to saucepan with the remaining milk. 8. Off heat, add honey, vanilla, and salt to the cooked egg/milk mixture. Stir well. Set pan over bowl of ice water to let cool to room temperature before placing in refrigerator to cool completely. You can place the ice cream base in another container or just cover the saucepan with a lid. Let chill at least 4 hours, or overnight. 9. Remove base from fridge and freeze in an ice cream machine, per their instructions. Generally, ice cream machines call for churning at least 20-30 minutes. 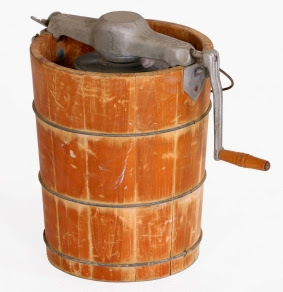 I churn mine about 25 minutes. 10. Remove ice cream from machine and place in a freezer container. Freeze until firm, about 4 hours. You can enjoy straight from the machine if you like a soft serve consistency. Serve with fresh fruit, compote, hot fudge, or your favorite topping! Wishing all a very happy and safe Fourth!